As a player and teacher I specialize in metal, rock, free improvisation, and classical but am also highly proficient in jazz, blues, funk, folk and more. I develop each curriculum based on the student's musical interests. We closely study the technique and theory behind songs and artists of the student's choosing. I encourage interdisciplinary courses of study that touch on many different subjects, including music theory and composition/songwriting, but ultimately the student's goals and interests guide my lessons. Specific topics I've covered with students in the past includes transcribing advanced jazz solos (Coltrane, Mingus, McLaughlin, etc), Bob Dylan strumming patterns, learning Megadeth guitar solos, developing arrangements for raw compositional ideas and thrash metal technique (Slayer, Metallica, Suffocation, Death, etc). I have a BA in Music from NYU and have been teaching private guitar lessons for 10 years. In 2009 I created the visionary metal band PYRRHON. We've released three full-length albums, all of which have received critical acclaim from noteworthy publications. I am an expert guitarist, composer, arranger and teacher. In my lessons I am able to cover many topics, including rock, metal, jazz, classical, improvisation, transcription, composition, general dexterity and more. My lessons are interdisciplinary, designed to improve musical comprehension, creative wherewithal, and confidence. Let's build something together. My band PYRRHON is my primary creative outlet. Our recently released third album, What Passes For Survival, received laudatory reviews, landing on Best of 2017 lists for Rolling Stone, Decibel, Quietus and several other notable publications. We have extensive international touring experience and have worked with several renowned metal labels, including Willowtip and Relapse Records. Outside of PYRRHON, I record and perform solo guitar pieces under my name, improvise avidly, and study classical guitar. I also have 2 in-the-works musical projects that span the breadth of my musical vocabulary. Initial recordings for both projects will surface by late 2018. Guitarist and main songwriter of critically acclaimed experimental death metal band PYRRHON. 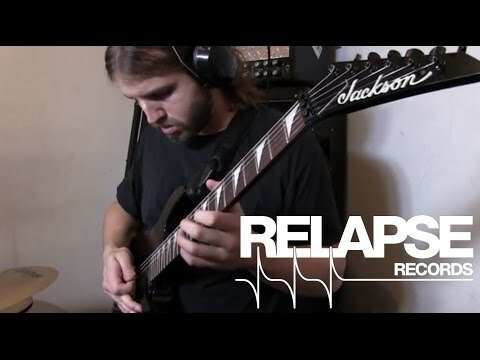 Playthrough video of Pyrrhon's "Balkanized"
Dylan is a very good guitar coach. He is good at recognizing where you need the most work. And instructing you in that area. Great teacher - patient, flexible, incredibly knowledgeable, and takes you where you want to go with the instrument. I highly recommend!! Dylan's an awesome instructor! He's patient, friendly, and open to helping you learn whatever style of guitar playing you'd like. And really flexible and understanding with scheduling. I hadn't played guitar in years when I started back up with Dylan and he was great and informative with helping me through the basics again. Dylan does an excellent job of helping his students achieve their specific goals. When I started taking lessons with him I was only able to play basic rock rhythm guitar. We've moved onto lead playing and more advanced music theory. I can play solos by Tony iommi and frank zappa fluidly now. Dylan was a great teacher. Easygoing, professional but still easy to talk to. In terms of lessons, we went over basic jazz harmony, chord tones, transcription and improvisation. I would definitely go to Dylan for more lessons.